What have you been doing as an intern with APIFM? While working with APIFM, I was part of numerous nutrition workshops tailored to older adults and young children. These workshops were no more than a hour long and contained tastings, demos, games, and review questions. It was a little nerve-racking at first to be thrown in a totally new environment and not know what to expect. However, the flow and process of each session turned out to be not only easy to fall in place with, but a delight to be a part of. Interacting with the people in the classes was not as difficult as I expected to be. Everyone was enthusiastic about the topics and interested in the material. What I loved most was supporting the nutrition classes that took place at Castelar Elementary School, located in Chinatown. The classes were simple enough for elementary students to comprehend and fun enough for everyone to enjoy. The kids laughed, played, and wanted to share their knowledge of different food experiences. I too enjoyed talking to the kids about my experiences with food and how I learned to eat healthier. The lessons began with an introduction to fundamental knowledge of food groups, healthy eating, and skills that can be used later in life. These skills and knowledge were things like knowing how to use our five senses to examine food, how many cups of water should we drink a day, or why it’s important to have a diverse diet. Each class was meant to build on top of the previous class with fun game reviews and interactive activities to learn more. How do the children benefit from the workshops you support? The kids were quick learners and of course were ecstatic to participate in games. The games were meant to be fun, but also packed with information about nutrition. They learned about a balanced diet containing all foods. They learned what each food group provides their bodies with such as better skin, stronger muscles, a healthier stomach, and more. They also increased their vocabulary with descriptive words to define the fruits and vegetables they were able to eat. At the end of each class there was a tasting of fruits and vegetables for the kids and everyone to try. In some cases the kids were hesitant to try to new food and in other cases the kids discovered a new delicious snack. This activity was especially exciting for them because they were able to handle the food. Not only were they playing with their food, but learning about it. Many of the children didn’t even know what the food was called and had never seen it before. This was a great way to push the kids to be brave and explore things they are not accustomed to. These experiences will not only benefit them in trying new foods, but also in general life. They will be able to push past their comfort zones and find pleasure in challenging themselves. How has this experience impacted you, and what are your future plans? It’s great to be part of an organization so dedicated to creating healthier future generations. It was truly fun to wake up in the morning, knowing I would soon be surrounded by eager faces, ready to talk about healthy foods and try various vegetables and fruits. I loved being involved in a program that visits elementary schools and spends resources on children that might not have been given the opportunity to experience new foods. I believe this opportunity has helped me understand the importance of being able to present information to have the biggest impact communities. I want to improve the living conditions and environments for communities who are facing barriers. I plan to use these new skills to help me when presenting information to communities who can benefit from it. Leon Foster is a Cambodian American senior undergraduate student majoring in public health at California State University, Los Angeles. He grew up in Long Beach in a mixed household. Leon plans to attend graduate school in the near future for Environmental Health. In late January 2019, Asian Pacific Islander Forward Movement (APIFM) launched multiple healthy eating workshop series at Castelar Elementary School in Los Angeles’s Chinatown neighborhood. Each series is at least six weeks long, and aims to promote healthy eating behaviors such as increasing fruit and vegetable intake, reducing sugar intake, and choosing whole, unprocessed foods more often. The workshop series are currently offered in three first grade classes, two second grade classes, four third grade classes, and two fifth grade classes. APIFM nutrition educators now visit classes on a regular basis to lead interactive nutrition curriculum and healthy recipe-making. In several series, the curriculum also integrates basic gardening skills to teach students how vegetables are grown. “This program educates our students on eating and living a healthier life. The hands-on activities get our students motivated to make things on their own,” shared Castelar Principal Wing Fung. These workshops are part of APIFM’s broader Healthy Eating & Active Living (HEAL) program, which is made possible by funding from Los Angeles County Department of Public Health’s Champions for Change – Healthy Communities Initiative. Champions for Change aims to improve the health of families and communities in California, especially those that are at greater risk of obesity, high blood pressure, and type 2 diabetes. We planned to further discuss those specific concerns at future meetings, and will explore organizing a neighborhood cleanup day. The rest of our meeting that day focused on two campaigns: educating senior residents to not jaywalk and adding mirrors and multilingual warning signs at the narrow driveway of Peking Poultry. After presenting evidence of the dangers of unsafe streets, APIFM asked the attendees to commit to the campaigns. Many signed up and we will meet weekly in the month of August 2018. We’d like to thank the LA Chinatown Business Council and the California Office of Traffic Safety’s Go Human Local Community Engagement Program for their generous support of this pedestrian safety campaign! Recap: Rethink Your Drink Outreach at WAPOW Launch! On Saturday, March 24, we were invited to the launch of WAPOW Magazine at the Los Angeles State Historic Park (LASHP). WAPOW Magazine is a new free, bilingual publication that focuses on news and culture in Los Angeles Chinatown for its community. At their magazine launch, we hosted our Rethink Your Drink table in which we encouraged the guests to drink healthier options. We met some new faces and welcomed familiar faces who usually attend the Healthy Eating and Active Living (HEAL) Tuesday (LASHP) and Wednesday (Chinatown Service Center) classes from 10am – 11:30am. At our table, we offered water infused with strawberries, kiwis, and cucumbers. We also provided recipes for healthier drink options, brochures about the organization, and nutritional facts on common sugary drinks. We also had a poster board as a visual as part of our Rethink Your Drink campaign for the guests that attended the event. We wanted guests to have an idea of how much sugar is in a drink by providing visuals of teaspoons of sugar (4 grams of sugar equal to 1 teaspoon), so we had a poster that displayed how much sugar is in common sugary drinks and asked people to guess how many teaspoons is in each drink. Then, we had visual under each drink to show about how many minutes of exercise should they be doing after certain amounts of sugar consumed. For example, a can of soda contain about 40 grams of sugar, and if we divided by 4, that would contain about 10 teaspoons of sugars. Then it is suggested that they should do about 33 minutes of walking/light exercise to burn off that sugar. On top of our Rethink Your Drink table and materials, LASHP Park Ranger Kya-Marina Le led a tour around the park and shared the history of the park, how the park is rebuilding the local ecosystem, and how it is engaging within the Chinatown community. The launch also introduced an artist, Sara Chao who made “Edition Popcorn” in honor of the event. Sara’s popcorn was influenced by her Chinese roots and was a yummy treat for the guests. It was a fun event and we hope to see the new faces we met at our classes! Trang is a student at California State University, Los Angeles majoring in Public Health with a focus in Community Health. She is from Los Angeles and she’s doing her internship with Asian Pacific Islander Forward Movement, supporting a number of healthy eating and active living workshops every week. She enjoys interacting and involving with the community members of Los Angeles and hopes to gain more experience in nonprofit work. Charlene Mendoza is currently in her last year at CSULA, majoring in Public Health with a focus in Community Health. She resides in Duarte, home of the City of Hope hospital and research center. Due to her volunteer work at two local San Gabriel Valley hospitals, she encountered many people with various health ailments and she knew she wanted to make a difference. Charlene believes she can prevent the influx of patients coming into the hospital by being a Public Health advocate and promoting healthy lifestyles to those greatly affected. She knows she can take on this issue by reaching out to the communities and making a difference with the lives in the communities. During her free time, she enjoys going to the beach, attending concerts, spending time with her family, and going on adventures to new places. After finishing her B.S. in Public Health, Charlene hopes to further on her education with a Masters in Public Health to focus her studies towards Global Health and help developing countries live healthier lifestyles and prevent the growth of non-communicable diseases. 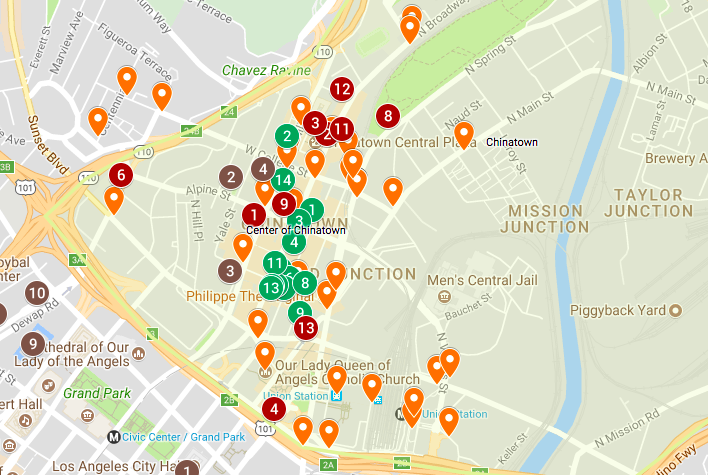 APIFM intern, Kayee Liu, made this helpful Google map (below) of different institutions, services, and businesses in Chinatown. Thanks, Kayee! In the top left corner of the map is a window. (It looks like an arrow pointing into a box.) Click that! Click the checkbox selections to view the corresponding markers on the map. Click on the colored markers to see their descriptions. Produce and markets: Locations where at least 3 or more fresh fruits/vegetables are offered. Can range from supermarkets to informal outdoor vendors. Convenience stores: Locations that do not offer produce, but predominantly snacks and sugary beverages. This data was collected through a walking survey as well as an analysis of existing community resources lists. If you would like to add something to this map, please email info@apifm.org. Enjoy!!! And see below the map for a bio of Kayee! Kayee Liu is an outgoing, driven, and fun-loving kid (at heart) who enjoys guiding people to find their own solutions. 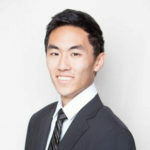 He is a dietetic candidate pursuing a Masters in Nutrition, Healthspan, and Longevity at USC Davis School of Gerontology. After discovering a natural pairing between his background in healthcare and his love for food and the culinary arts, Kayee believes that nutrition and dietetics will be on the forefront in the future of medicine and public health and hopes to seamlessly connect culturally relevant nutrition to people from all walks of life. With his off time, he enjoys playing/watching basketball (Let’s go Lakers! ), eating at unknown restaurants, watching both fantastic/terrible films and connecting with his friends and family. Areas of interest include Nutrition Education, Retail Food Service, Bariatrics, Diabetes, and Sports Nutrition. Kayee holds a B.S. in Human Biology and Society from UCLA with a concentration in Medicine and Public Health and a sub-focus in Microbiology, Immunology, and Molecular Genetics.